Penicuik were slow off the mark with Tayport looking sharper and quicker, but Penicuik had the first chance when a Barr shot drifted just wide of the target. Immediately afterwards, Manzie just failed to make good contact when close in on goal. However in the 9th minute Tayport took the lead when MANZIE got on to the end of a low cross into the six-yard box to toe poke the ball home. 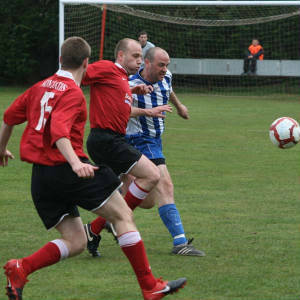 Minutes later, a neat back heel took out two Penicuik defenders, but the strike on goal went wide of the post. 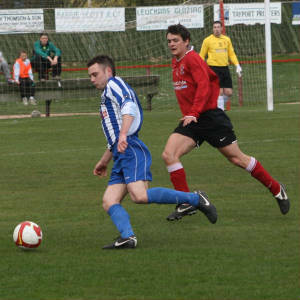 Then Barr for Penicuik saw his shot go a foot wide of goal. Two minutes later, with Penicuik defending desperately, blocking shots inside their penalty area, they finally managed to clear the danger. In the 23rd minute, J Harvey gave away possession in his own half, but Black sliced his shot well wide of the target. Penicuik then attacked down the left when Montgomery sent over a cross to the back post, but Wemyss was able to head the ball away for a corner just as Barr was ready to head home. In the 35th minute, a net bound Harvey shot was deflected away for a corner. Then Miller for Penicuik had a chance, but his shot was well saved by Ferrie in goal. 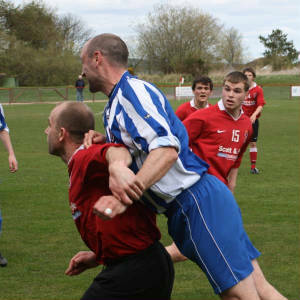 Penicuik were having their best spell of the game, pushing Tayport back on the defensive, but against the run of play Tayport doubled their lead when Meikle gave possession away just outside his own box, and SCOTT was left with only Bald to beat which he did with aplomb. Two minutes into the second half, referee Shroeder ignored loud shouts for a penalty to Tayport. In the 57th minute, with the Penicuik defence under siege, the assistant referee came to their rescue ruling a Tayport header offside. Two minutes later, Tayport finished the game as a contest when WHATELY scored a goal worthy of winning any game with a superb 30 yard strike that flew into the top corner of the net, giving keeper Bald absolutely no chance. Two minutes later with Penicuik on the back foot, Manzie saw his shot on goal brilliantly save by Bald. 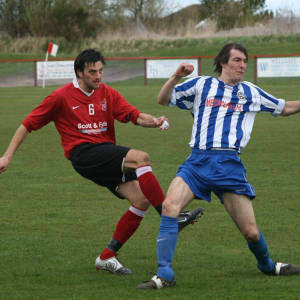 In the 66th minute, following a corner to Tayport, Manzie again came close, but his header went just wide of the goal. In the 78th minute, in a rare Penicuik attack, Ferrie was well placed to save a Barr strike on goal. 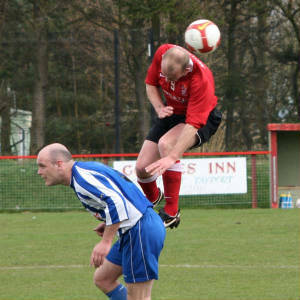 Then, in the 85th minute, Barr got on to the end of a McKenna corner kick, but failed to hit the target. With three minutes to go, Tayport earned a corner kick that was badly defended by Penicuik and MANZIE scored his second and Tayport’s forth goal with a fine left foot volley.